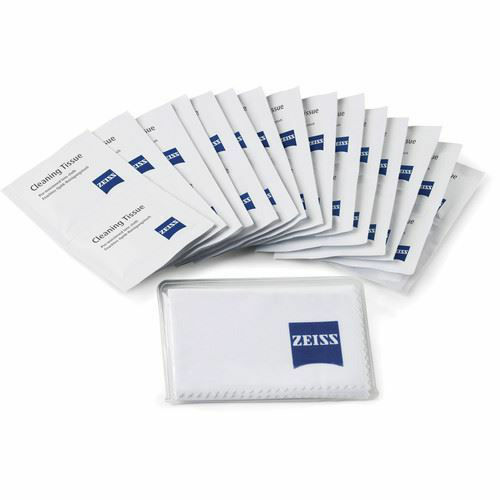 This pack of 20 Moist Cleaning Wipes from ZEISS provides an effective way to clean and preserve valuable optics. Whether used with camera lenses, eyeglasses, telescopes, or spotting scopes, these non-abrasive pre-moistened wipes are safe and effective. Designed for single use, these wipes come in individual, disposable packets. They can be stored in a camera bag, glove compartment, studio, or lens case for whenever the need to clean optics arises. 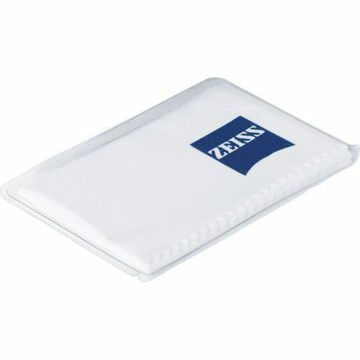 A non-abrasive, 7.1 x 7.1" microfiber cloth is also included which can be used after one of the pre-moistened wipes is applied in order to ensure that no streaks or spots remain.